As denoted by ASA's meeting records, out of the 28 total absences Garcia racked up during his four years on the board, only 14 were excused. The records further indicate a clear overlap between Garcia's unexcused absences from the board and his campaigns for statewide office. 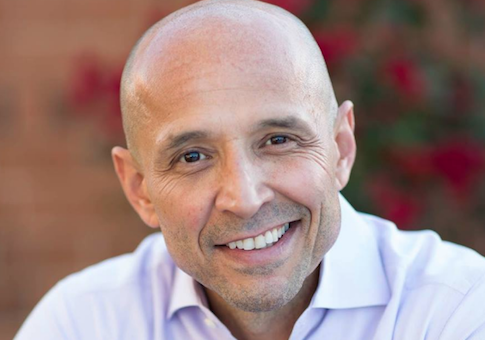 Throughout the majority of 2013 and 2014, Garcia was running to be elected Arizona's superintendent of public instruction, the elected official responsible for the state's public school system. In that time period, he missed 11 out of 24 meetings of ASA's board of directors. Of those absences, nine were unexcused and only one of those unexcused absences overlapped with a day the candidate was scheduled to be teaching. The two excused absences Garcia incurred were each at the beginning of 2013—taking place respectively on Feb. 13 and Feb. 25—and coincided with a class Garcia was scheduled to administer during the spring semester called the American Education System. The class took place on Mondays between 4:30-7:15 p.m. and ran from Jan. 7 to Feb. 27 of 2013. For the rest of the 2013 spring semester, which ran from January to May, Garcia taught only one other class in-person, which took place on Wednesday evenings. The remainder of his schedule was utilized for overseeing research and dissertation programs of undergraduate and graduate students matriculating in ASU's school of education. Prior to officially announcing his exploratory committee for superintendent in June 2013, Garcia missed two meetings in a row, despite not having any classes scheduled for ASU's summer semester, apart from overseeing research and dissertation programs. Following those absences, Garcia proceeded to attend nearly every meeting of ASA's board until midway through 2014 when the race for superintendent kicked into gear. Beginning in June 2014, two months before the Arizona Democratic primary, Garcia skipped five consecutive meetings in a row without an excuse. The absences occurred while ASU's course schedule shows Garcia was only teaching one class in-person, on Tuesdays evenings during the fall semester, with the rest of his schedule devoted to research and dissertation programs. During the string of missed meetings, only one overlapped with a day Garcia was scheduled to be in class. The candidate's prolonged period of unexcused absences was broken when he attended an ASA board meeting on Nov. 24, nearly three weeks after narrowly losing his bid for superintendent. Garcia's unexcused absences in the latter half of 2014, while the candidate was campaigning to oversee Arizona's education system, occurred as ASA's board of directors was drafting and voting to approve the operating budget for the coming school year. Throughout 2015 and 2016, Garcia missed 10 out of 23 board meetings, only 2 of which were unexcused. These absences generally occurred between January and April of each year, when official ASU course schedules showed Garcia was teaching a Monday evening class during spring semesters in question. In 2017, as Garcia began laying the groundwork for his challenge to Ducey, the candidate missed 7 out of 11 board meetings. Of those absences, three were unexcused and did not overlap with Garcia's class schedule. Garcia left ASA's board of directors in November 2017. Neither the Garcia campaign nor ASU responded to requests for comment on this story. This entry was posted in Politics and tagged 2018 Election, Arizona, Democratic Party, Education, Governor. Bookmark the permalink.